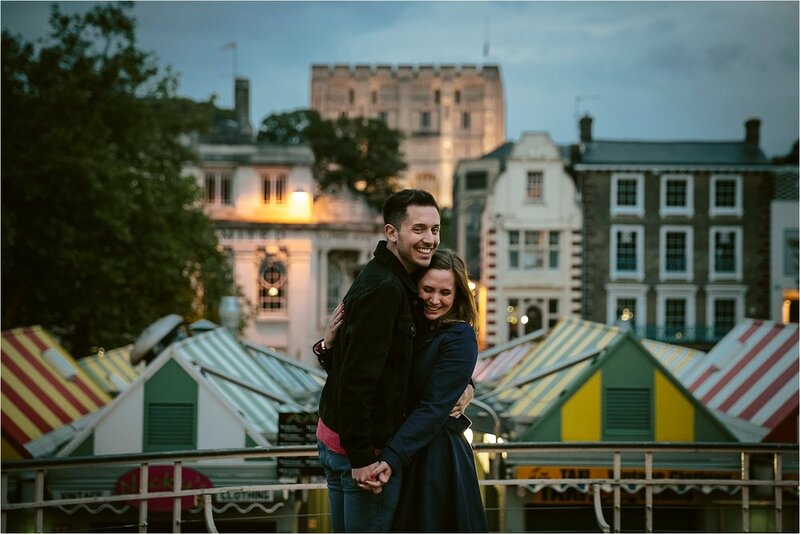 Ally & Joe could not stop smiling, giggling and generally having a laugh for the whole of their engagement photoshoot in Norwich. Suffice to say I loved this shoot! 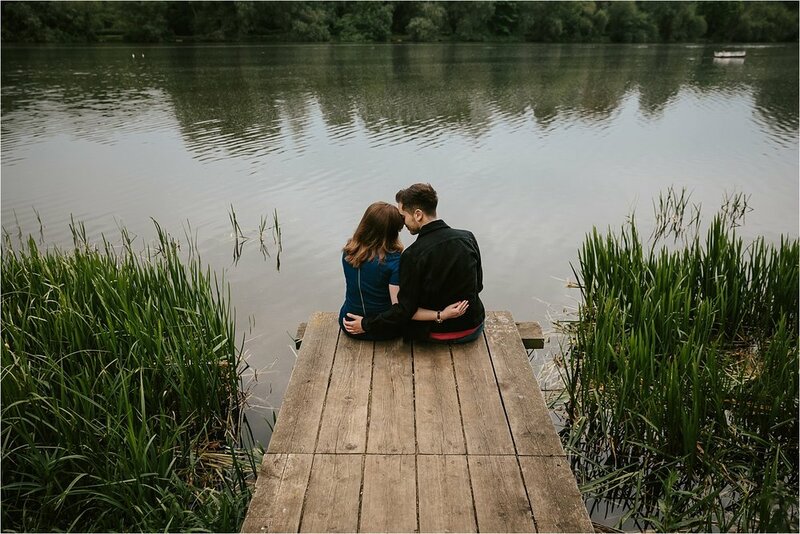 Like a lot my couples, they were a quite nervous about being photographed but as you’ll see in the photos, they just settled into having fun which made for great snaps of them both together! As you may know I’m based in Derby. 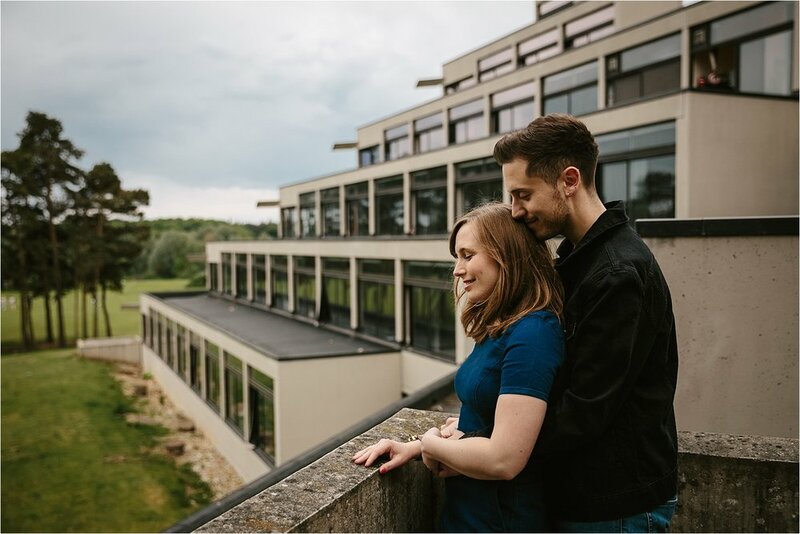 These guys live in Nottinghamshire and when they said that they couldn’t think of anywhere more special to them than Norwich, where they met when studying at UEA, I happily agreed to venture there with them for their engagement shoot! I love getting to explore the UK (travel throughout England and Wales is included in my wedding photography packages) and had yet to tick this pretty little city off my list. 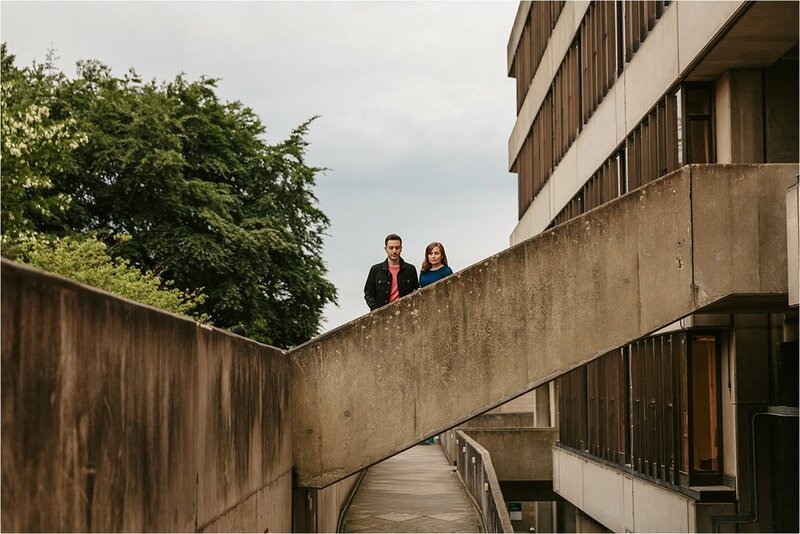 We met for the last few hours of daylight at the university campus, an amazing setting with lots of green elements entwined with iconic 1960’s Denys Lasdun architecture. This provided a perfect mix of spaces to make creative portraits in. 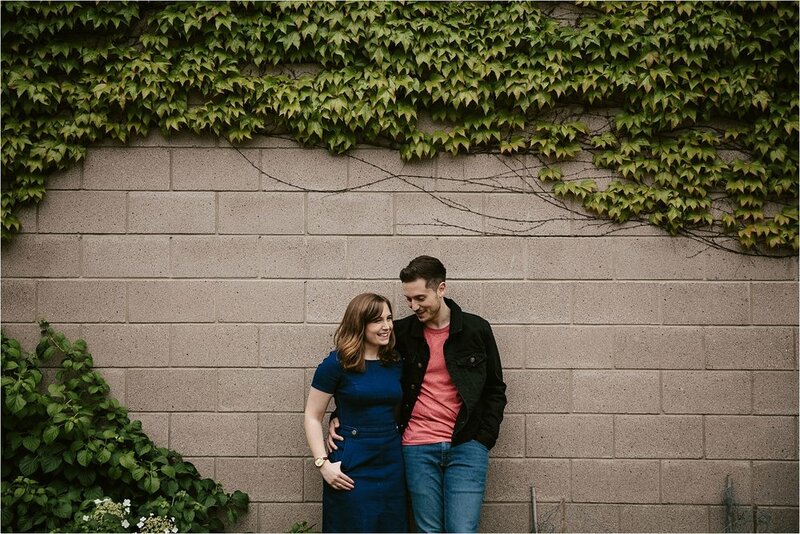 I’m so excited to meet Ally and Joe again to capture their wedding this summer - guys you are just super lovely and are going to rock it on your big day! Enjoy the photos and do get in touch if you’d like to chat photography!